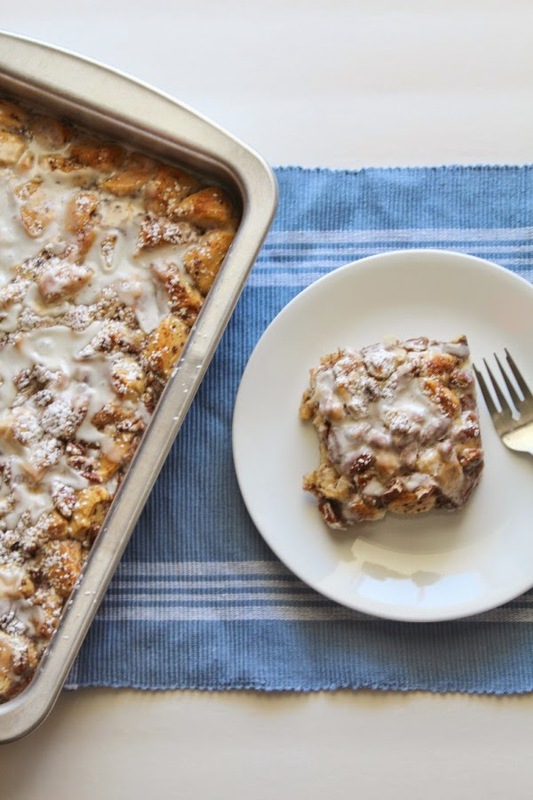 This easy Cinnamon Roll French Toast is an amazing and totally indulgent casserole. Although it only takes about 10 minutes to have it ready to place in the oven everyone you serve it to will be absolutely impressed and have no idea that it was so simple to make. I love to serve this for breakfast when I have had overnight guests. It makes your guests feel like they are being served a decadent treat and the kitchen smells amazing when they are sleepily coming to the table to eat. 1. Melt the butter and pour into the bottom of a 9x13 baking pan. 2. 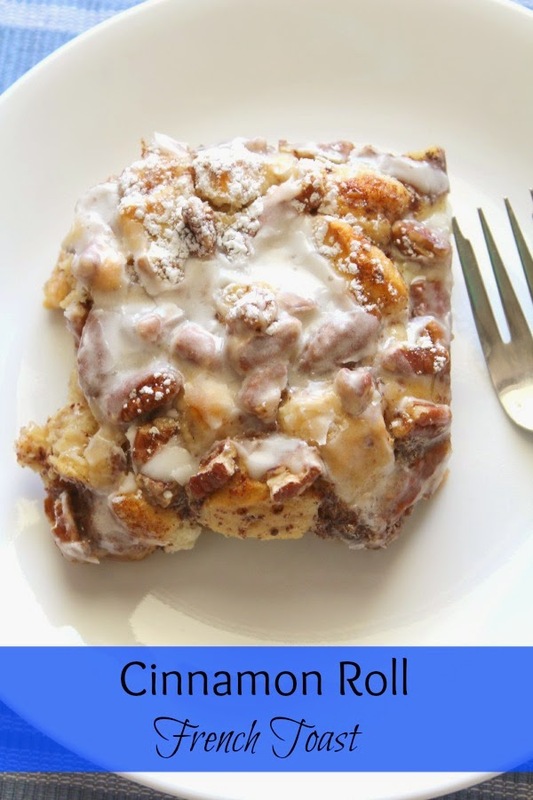 Separate the cinnamon roll and cut each cinnamon roll into 8 pieces. I use kitchen scissors for this step. Spread the pieces of cinnamon evenly into the pan. 3. Beat eggs together in a mixing bowl. Then add the cream, vanilla, and cinnamon to the eggs and mix together. Pour over the cinnamon roll pieces. 4. 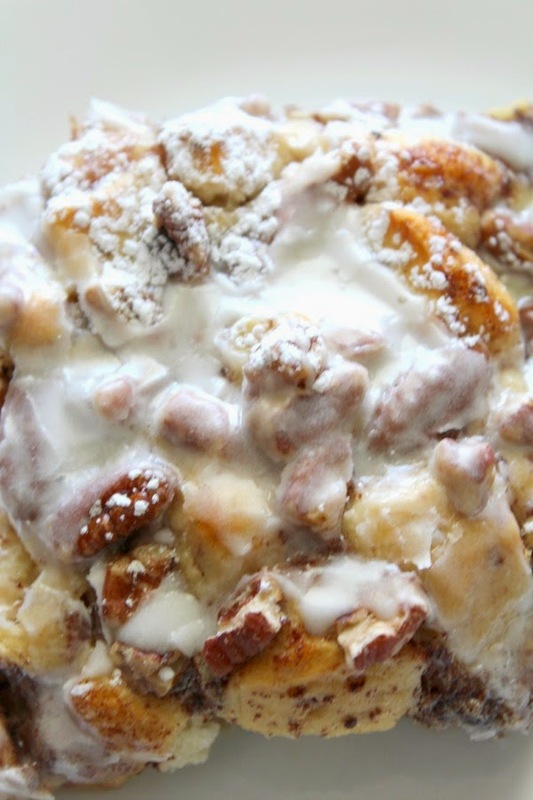 Drizzle syrup over the cinnamon rolls and then sprinkle nuts on top. 5. Bake in a preheated 375 degree oven for about 22-28 minutes or until golden brown. 6. Allow to cool for 15 minutes. 7. Place frosting in a microwavable bowl and microwave for 15 seconds. 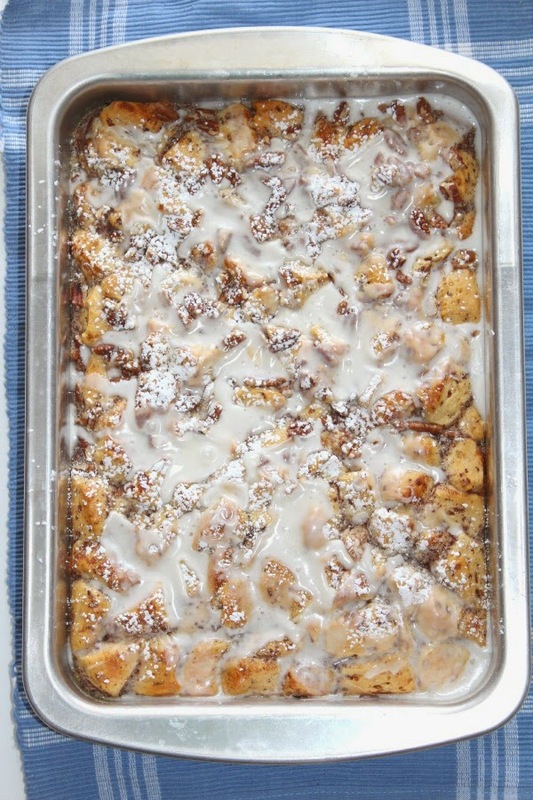 Then drizzle on top of the cinnamon rolls. 8. Dust with confectioner's sugar if desired. 9. Serve with additional maple syrup. It's 5:46am here right now and my stomach just rumbled so loud at the sight of this. This looks to die for! These look amazing! I love cinnamon rolls, lots of cinnamon extra cinnamon please. I piece of this and a cup of tea please!